AUAT 2019 – Aliah University, West Bengal is a deemed university for minority candidates in India. It offers various undergraduate and postgraduate courses in engineering, arts and humanities, and management fields. 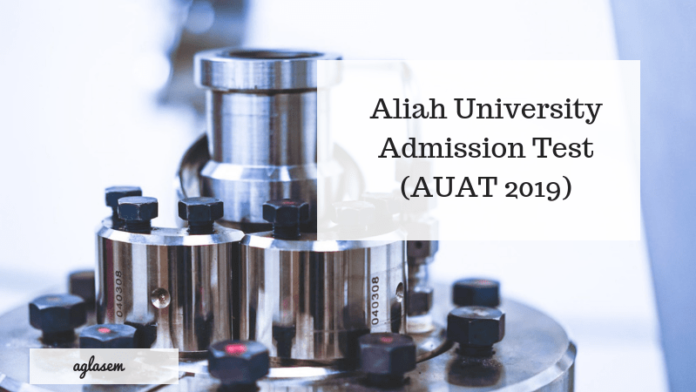 And for UG and PG admissions, it conducts the Aliah University Admission Test (AUAT 2019). It will be conducted in offline mode, separately for different courses. For each course, that it offers separate eligibility norms has been specified. Interested candidates will be required to fulfill these AUAT 2019 eligibility criteria. 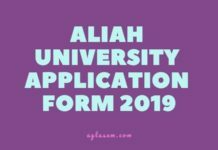 The AUAT 2019 Application form has released in online mode over the university’s official website i.e aliah.ac.in. To know more about AUAT 2019, a candidate can keep reading the article provided below! Latest: The application form for AUAT 2019 has been released, scroll down to apply. After having filled the AUAT 2019 online application, B.Ed. candidates will be required to send the AUAT 2019 application summary to the authorities via registered post. Photocopies of each document proof must also be sent along with the application summary. The AUAT authorities will not be responsible for any postal delay. Candidates can check the schedule which is given below to keep themselves updated with the important dates. By qualifying for AUAT 2019, a candidate will be able to pursue any of these courses. For each course, a candidate will be able to check the seats available. The courses offered by the University are mentioned below, candidates can check for the same. Only eligible candidates are requested to apply for AUAT 2019. Ineligible candidatures will be canceled by the Aliah University. For each programme, that it offers it has laid some eligibility criteria that need to be fulfilled by a candidate. Age Limit – For B.Tech/ 3-year BCA/ B.Sc. and B.A / Integrated BBA- MBA, a candidate should be at least of 22 years, as on July 1, 2019, when applied for admission to Aliah University across the following programmes. Educational Qualification – Other the age limit as eligibility criteria, a candidate will be required to fulfill the educational qualification. Each course has a separate qualification that needs to be fulfilled. For any of the above-mentioned courses, a candidate will be required to fill and submit the AUAT Application Form 2019. Aliah University has released the application forms over its official website i.e aliah.ac.in. Aspirants need to fill in their name, choice of center, choice of program, date of birth, year of passing, percentage of marks. Also, a candidate will be required to upload recent passport size photograph and signature of the specified measurements. The information provided in the applications, once submitted, cannot be changed later. The application fee paid by the candidate is non-refundable. 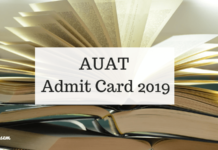 The admit card of AUAT 2019 will be published online at the University’s official website. The AUAT 2019 Admit card will be issued for only those candidates who will submit their online application before the date. 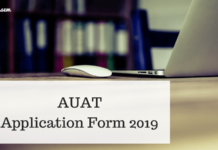 Before downloading the AUAT 2019 Admit card, a candidate will be required to check the following details mentioned on it. Candidates will be given the option for appearing for AUAT 2019 in any of the following test centers. The list of test centers is mentioned below, candidates can check for the same. Candidates can start preparing as per the AUAT 2019 Syllabus, as mentioned below. 4-year B.Tech and UG Programmes (except MBA) Mathematics, Physics, Chemistry, English, as per syllabi of classes XI and XII of West Bengal Council of Higher Secondary Education (WBCHSE) and Central Board of Secondary Education (CBSE). 5-year Integrated in MBA The concept of English in Language and literature, Basic and Business Mathematics, Elements of Statistics and Elementary Knowledge in the concerned area. The result of AUAT 2019 will be published online only at the university’s official website. Candidates who will appear for the test, AUAT 2019 will be able to check their result by entering their Roll Number as printed on the Admit card. The University will publish a separate merit list for all programs and a separate merit list will be published for PH candidates. On the basis of AUAT 2019 Result, a candidate will be then required to appear for AUAT 2019 counseling round. All those candidates who will be meeting the minimum marks requirement will be required to complete the admission formalities in a stipulated time period. Candidates will be required to carry certain documents like admit card, mark sheet of the qualifying examination, Domicile Certificate, and Category (for PC), along with one photocopy of each of these documents. Once the authenticity of these documents has been checked, only then a candidate will be allotted a seat in the Aliah University. Selected candidates will be required to get themselves registered separately by filling their course preference and a registration fee. 3% of seat reservation for Physically challenged category. Benefit would be given to those candidates who have at least 40% impairment. The candidates in this category will be required to submit a certificate of impairment from the competent authority. Students from Jammu& Kashmir may take admission in Aliah University under Prime Minister’s Special Scholarship Scheme (PMSSS) J&K 2019-20. 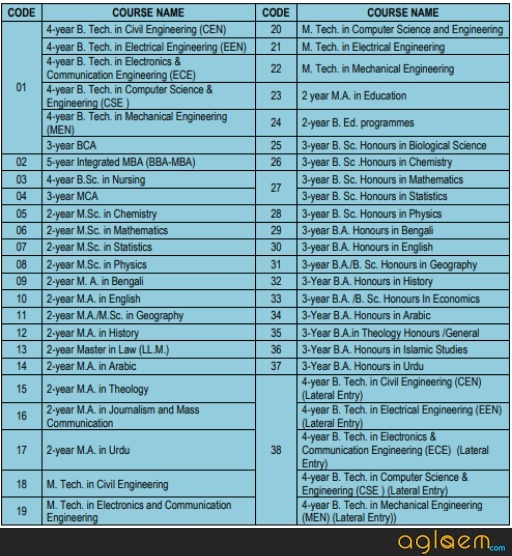 In our University total, 10 supernumerary seats are available in B.Tech. courses with a limit of two seats per branch for them. 10% of the seats in 4-year B. Tech. Programmes are reserved for the students who will be successful in WBJEE-2019 examinations. These candidates are exempted from appearing AUAT-2019. Where will be pg centre of aliah university?